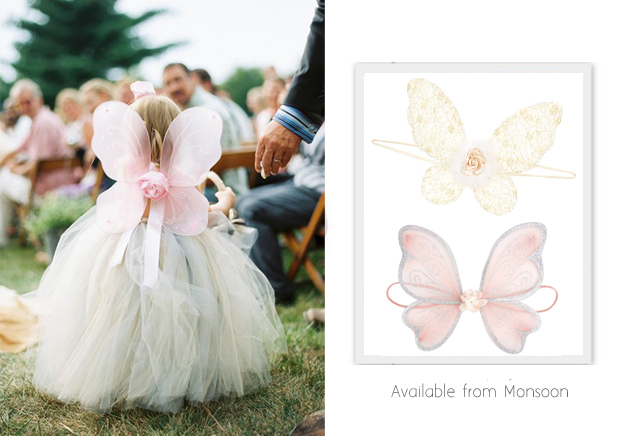 Let your flower girl don some fun fairy wings to bring a whimsical and girly twist to her wedding day attire! 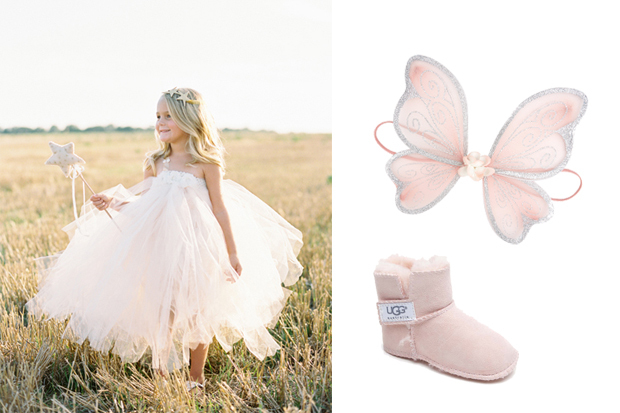 It’s a magical day for your little flower girl so go all out and let her feel like a princess with a magic wand! 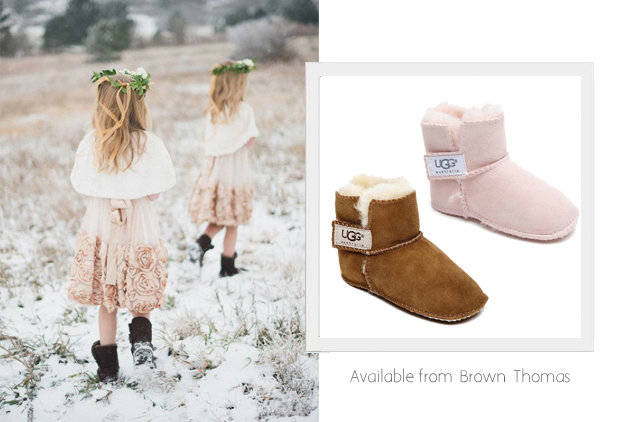 If you’re having a winter wedding and want to keep the little ones cosy, let your flower girl wear an adorable pair of Uggs up the aisle! 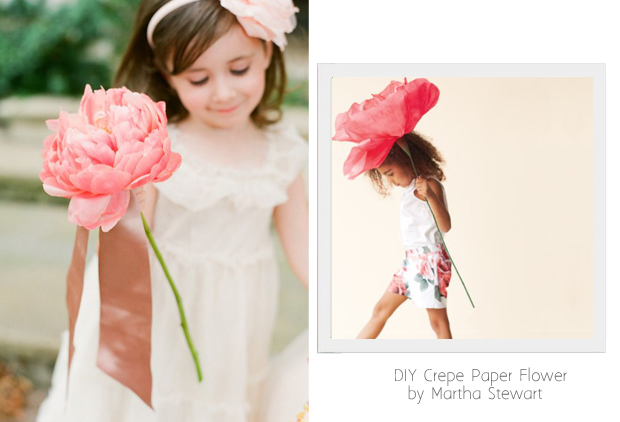 If your ceremony venue isn’t mad on the idea of scattered petals, give your flower girl an oversized paper version instead. And bonus – she’ll get to keep it afterwards for her room! Brighten up your page boy’s tux by turning one of his favourite Lego figurines (or action figures) in to a button hole! 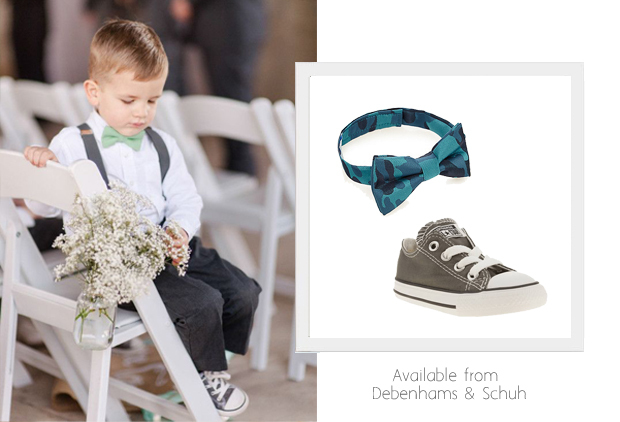 Let your little man wear his favourite shoes for his big moment – we could’t resist this cute camouflage bow tie either for the fun factor! 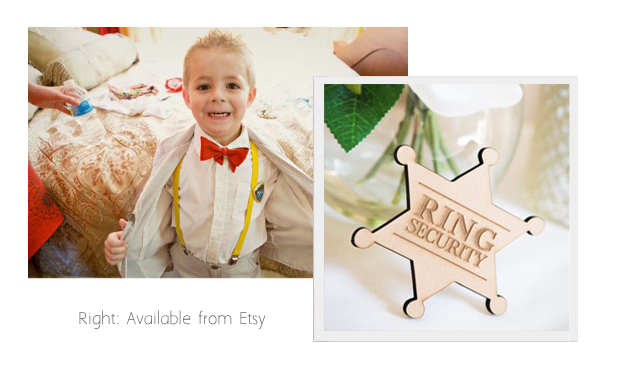 Make your page boy feel uber important by giving him a special security batch because he’s minding the rings. 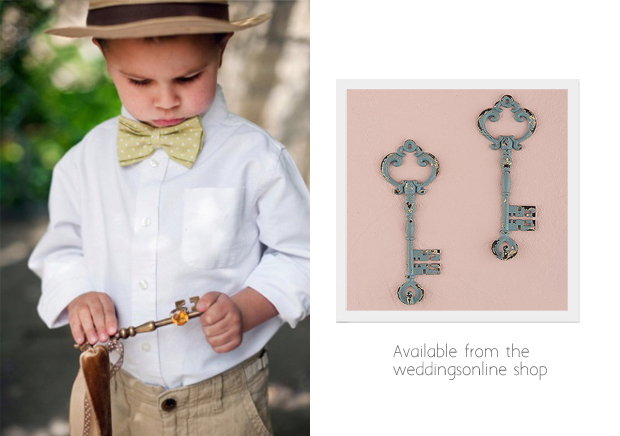 This little guy walked up the aisle with an antique key, just like he was carrying the key to the bride’s heart straight up to the groom! Aww. 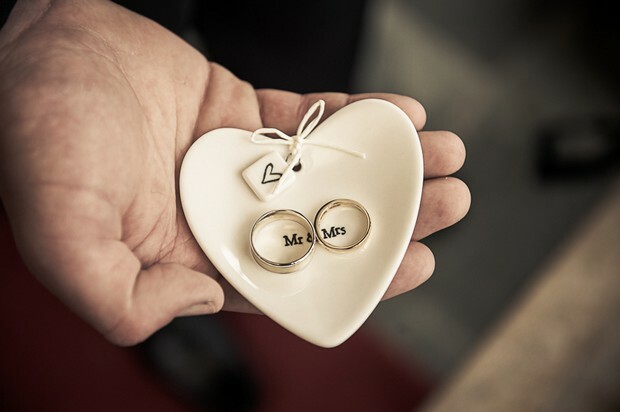 We so love these ideas! 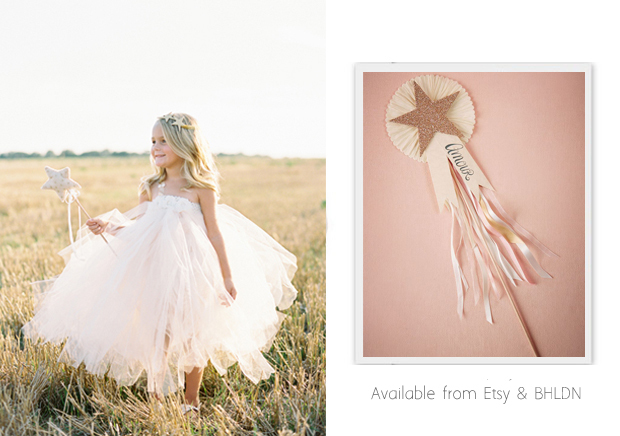 Completely sweet and adorable, how wonderful to have images like these of children in your wedding album!